Step 1: Click on the Team Fundraising Page you want to edit. 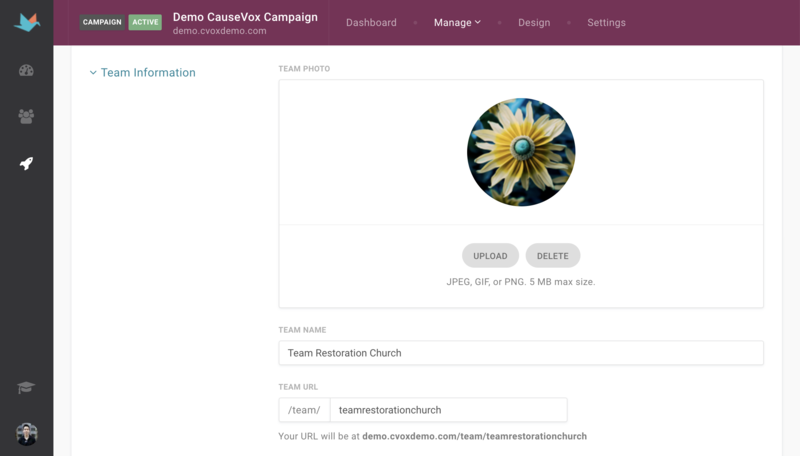 Step 2: Change the Team photo, name, URL, or fundraising goal under "Team Information." When uploading a new photo on the Team Photo section. Please note our photo dimension requirements (400px x 400px) when editing this section. 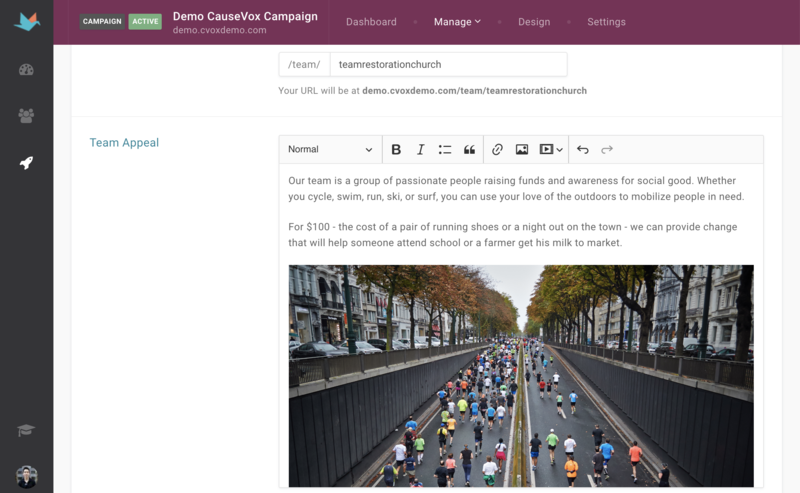 Step 3: You can compose a personalized Team Fundraising Appeal in the Team Appeal section. 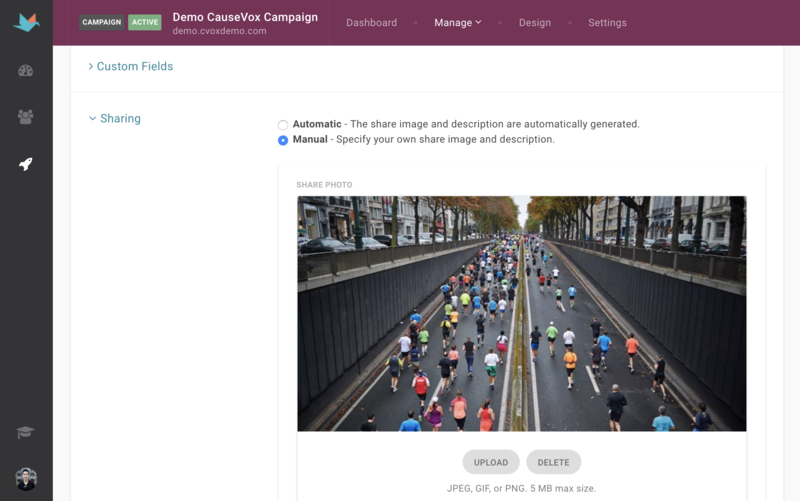 Step 4: You can edit the social sharing image and description under social sharing. Step 5: To delete or disable a page, you can select either option at the bottom of the page, under the "Administration" section. 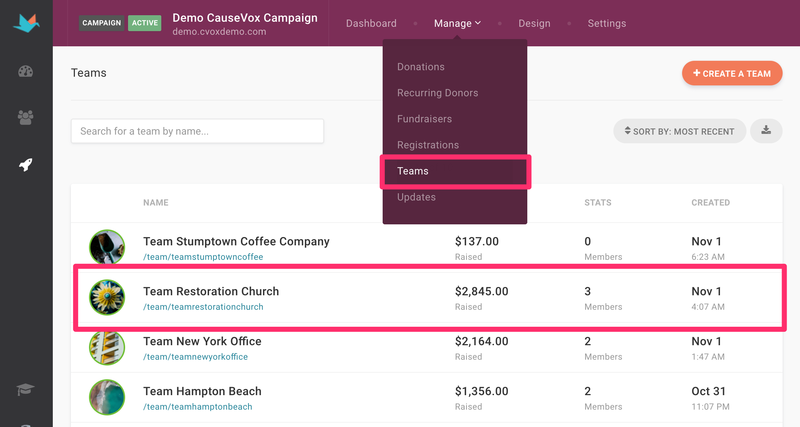 As a CauseVox Admin, you can add or remove Personal Fundraising Pages to teams. A fundraiser may only be on one team. Here's how you can remove a fundraiser from a team. 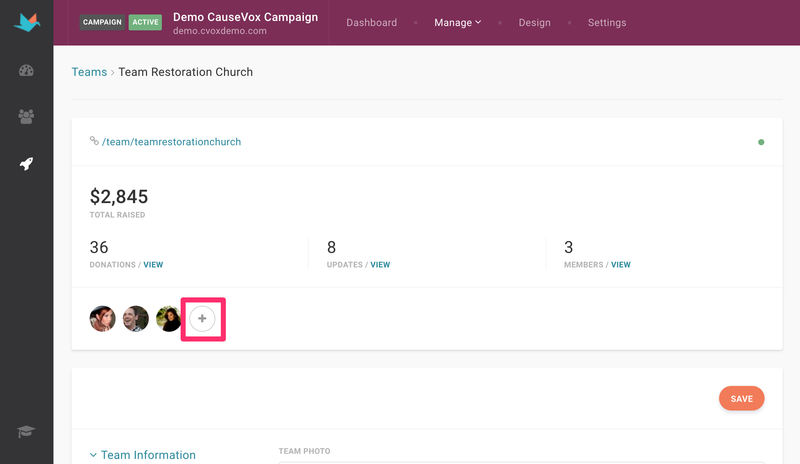 Step 1: Find the team from which you want to remove the team members from and select the plus icon next to the member listing. 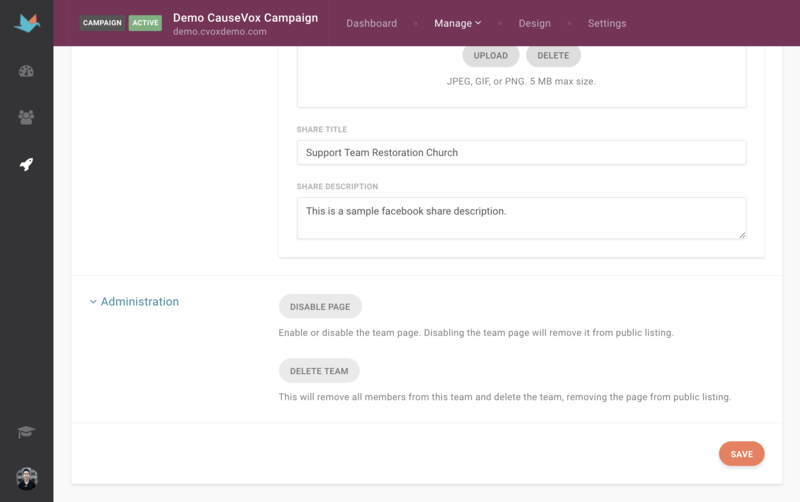 Step 2: Select the dropdown next to the team member you want to remove and select "Remove From Team"
Now, you'll be free to add this fundraiser to another team. Step 1: Select the team you want to add a team member to and select the plus icon next to the team member listing. Step 2: Search for the fundraiser you'd like to add in the search box, and select their name. Step 1: Click on the Team you want to make the change for. Step 2: Click on the plus icon next to the team member listing.